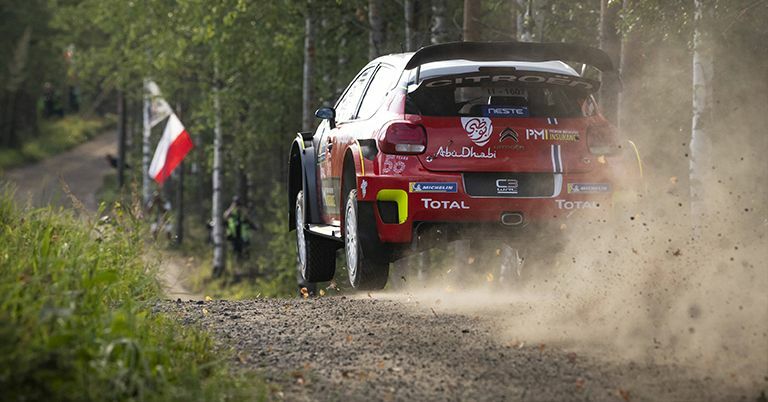 MADS ØSTBERG HEADED A 1-2 FOR CITROËN’S UPGRADED C3 WORLD RALLY CAR AT THURSDAY MORNING’S NESTE RALLY FINLAND SHAKEDOWN. The Norwegian stopped the clocks 0.6sec quicker than team-mate Craig Breen through the hot and dry 4.26km Vesala stage close to the rally base in Jyväskylä. Home hero Jari-Matti Latvala completed the top three, a further 0.5sec back in a Toyota Yaris. Citroën has revised the front geometry of the C3 during the mid-season break and Østberg was delighted with the car’s handling on both wide and narrow roads. “We’re working hard on the car to suit me better now. As we do more rallies together, we can start to develop the car a little bit in another direction. We’ve changed the philosophy of the differentials a little bit, more towards what I’m used to,” he told wrc.com. Østberg was the only driver under the two-minute mark in the first pass. Ott Tänak went fastest in the second run before Østberg moved back to the top of the rankings in his third and final pass. Breen tried several different settings on his C3 and posted his fastest time on his fifth and last attempt at the stage. Latvala’s third fastest time also came in his final pass. Toyota replaced the gearbox in Tänak’s Yaris during the morning and the Estonian’s second pass was good enough to claim fourth, just a tenth behind Latvala. 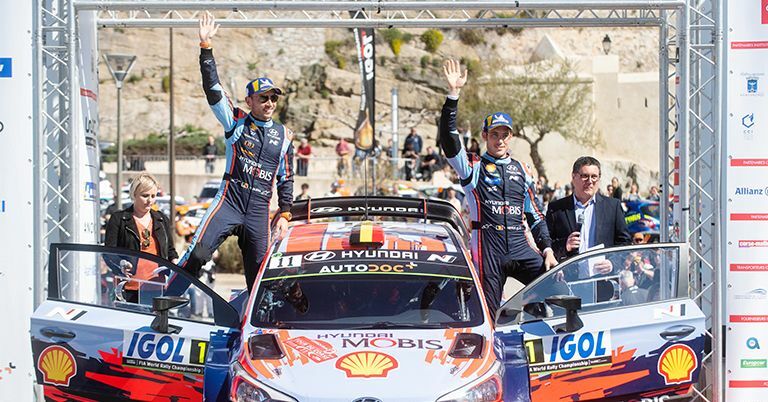 Teemu Suninen, driving a Ford Fiesta, and Thierry Neuville, in a Hyundai i20, completed the top six.